For its first field trip experience this spring, my SUST 350 Service & Sustainability class on urban agriculture, social justice, and community development ventured up Lake Michigan’s western shoreline to the great city of Milwaukee. Our destination was the flagship urban farm operation of Growing Power, the non-profit urban ag enterprise established in 1995 by pro basketball player-turned-urban farmer Will Allen. 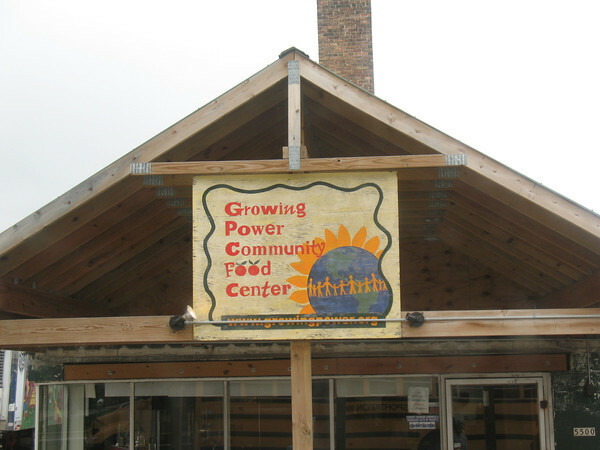 Since the mid-2000s, Growing Power has expanded its operations to several sites in Chicago, including the Chicago Lights Urban Farm (CLUF) in Cabrini-Green, which is the service learning partner organization / work site for our SUST 350 class this semester. Our objective in visiting Growing Power’s Milwaukee location was to get a hands-on introduction to one of the most celebrated sustainable urban farm operations in the US. We began our day with a picnic lunch at our urban farm site in Chicago, where we broke bread with CLUF/Growing Power staff and Youth Corps high school student interns. 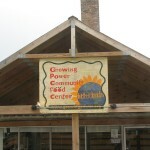 Then, we piled into a rented school bus and headed up to Growing Power’s site on Milwaukee’s Northwest Side, where we got a superb and information-packed 90-minute tour of the entire two-acre facility by Amy, a tour facilitator and full-time employee of the farm. 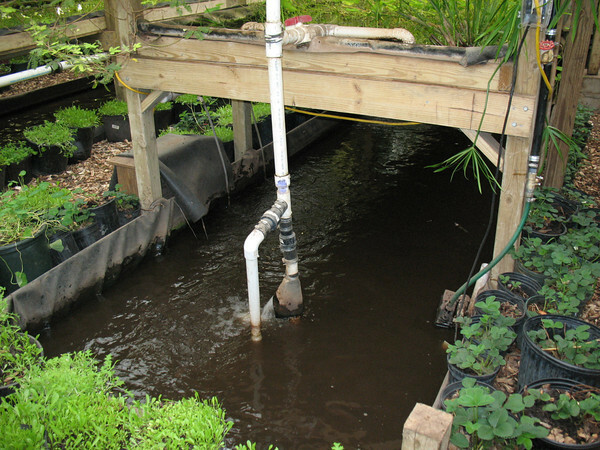 Growing Power is an example of a hybrid urban farm that is focused on developing sustainable urban farming practices in the production of vegetables (especially baby greens salad mixes), fish (primarily tilapia), animal products (goat milk and meat, eggs and poultry), and compost. Their food is sold to area restaurants, at the Growing Power on-site farm stand, and at various “Market Basket” locations in Milwaukee where fresh food is hard to find. 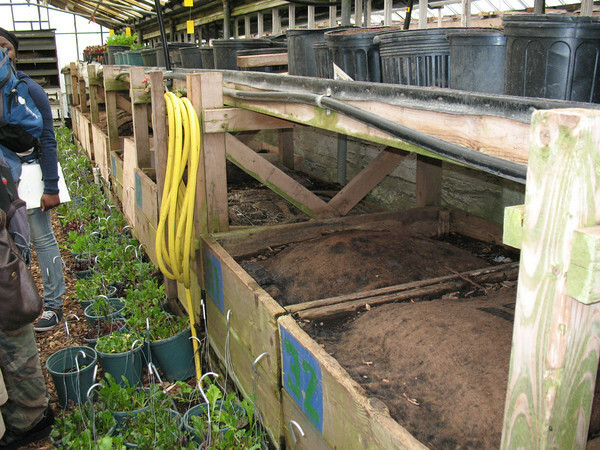 All of their growing soil is produced on-site by a sophisticated and large-scale composting system, which includes an impressive vermiculture operation that uses worms to process plant “waste” into nutrient-rich soil. 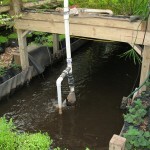 Growing Power is a pioneer is using closed-loop cultivation systems in which wastewater from the aquaponic fish-growing tank flows through hydroponic plant beds, where various vegetables and flowers take up the excess nutrients from the water; the cleansed water is then returned to the aquaponics tanks, to start the cycle again. Here, perfect soil is created by worms. Dirt is the great equalizer, the foundation of agriculture -- no matter one's race, color, or creed. The farm also harvests renewable energy from several solar panel arrays, and uses the heat bio-generated from interior composting bins to warm its several large greenhouses and significantly reduce heating costs during the cold Wisconsin winters. For a more detailed account of our group’s tour, check out the field trip notes taken by Maria Cancilla of our SUST 350 class at the pdf link below and the photos I took of our tour. 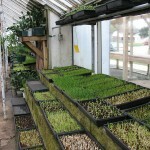 Also see Growing Power’s website for a wealth of information about the farm as well as virtual tours of its facility. 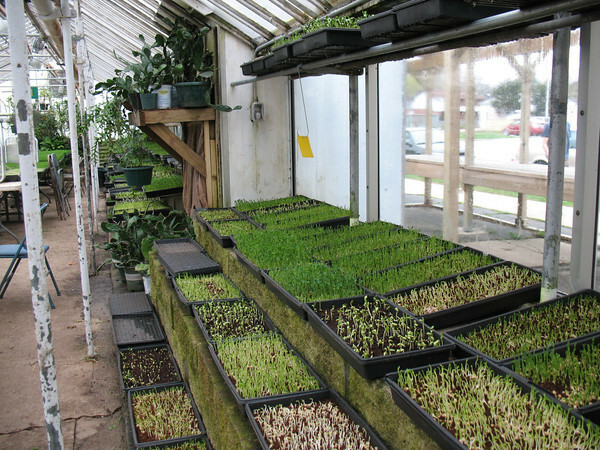 Growing Power’s Milwaukee and Chicago facilities are prime examples, but by no means the only ones, of the burgeoning urban farming movement in cities and suburbs across North America. Students in this inaugural section of SUST 350 in Roosevelt’s Sustainability Studies program are working on a community-based research project about the Cabrini-Green neighborhood’s history, present assets, and future prospects. 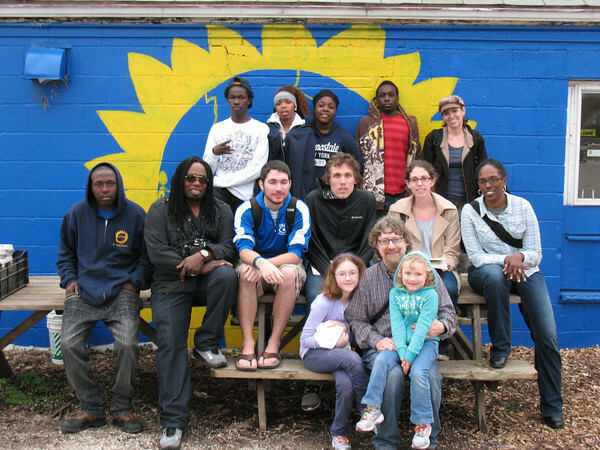 Two-thirds of our class meetings take place at the Chicago Lights Urban Farm in Cabrini-Green, a half-acre urban farm that began as a small community garden built atop a derelict basketball court in 2002. 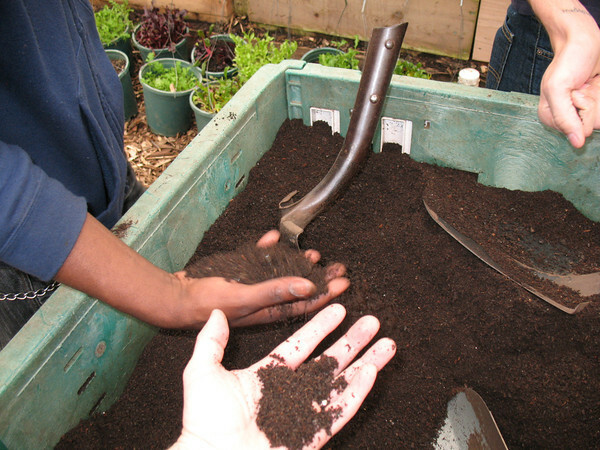 Here we are working side-by-side with Youth Corps teenage interns from the neighborhood to work compost, weed planting beds, harvest seeds from last year’s crops, build a new hoop house, and do whatever else needs to be done in the farm’s early spring work season. This farm is an inspiring example of how sustainable agriculture in inner-city neighborhoods can contribute to positively to the physical environment, economic activity, educational opportunities, and social fabric of its community. Its example can be a spark for imagining other urban farming projects that could be implemented in underserved communities throughout the greater Chicago region — such as my hometown of Joliet, IL, located 40 miles southwest of Chicago’s Loop. 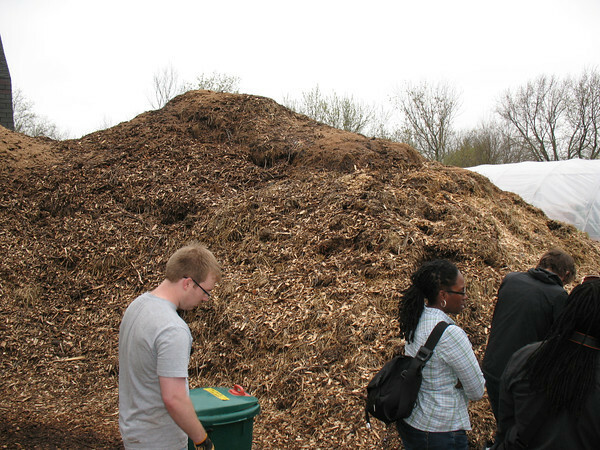 The production of compost at Growing Power's 2-acre site is incredible; we called this pile "Mount Compost"
This entry was posted in Agriculture, Chicago, Classes, Community, Field Trips, Roosevelt, Social justice, Students, Sustainability. Bookmark the permalink.